We offer a stunning range of exquisite uPVC windows that are bound to enhance the appearance and performance of any Brighton home. At A1 Glass and Glazing, we offer a stunning selection of uPVC windows for all homes in Brighton and throughout East Sussex. These windows give you superior performance and durability in addition to adding to your property’s design. What’s more, we offer these windows at such a competitive price that you can refurbish your home without exceeding your budget. Our selection of uPVC windows caters to every need, requirement, and architectural style. If you want simple elegance, we offer casement windows. These windows are sure to suit every property quite effortlessly. For those who want a bit more sophistication, our French casement windows give off a chic European aura. We carry tilt and turn windows for you if you want ventilation with security. In case you need large, dramatic windows for enhanced illumination, we offer bow and bay windows. These project out to give you a sense of more space and natural light. Finally, we offer sliding sash windows for heritage homes as well as new constructions that want a bit of vintage appeal. 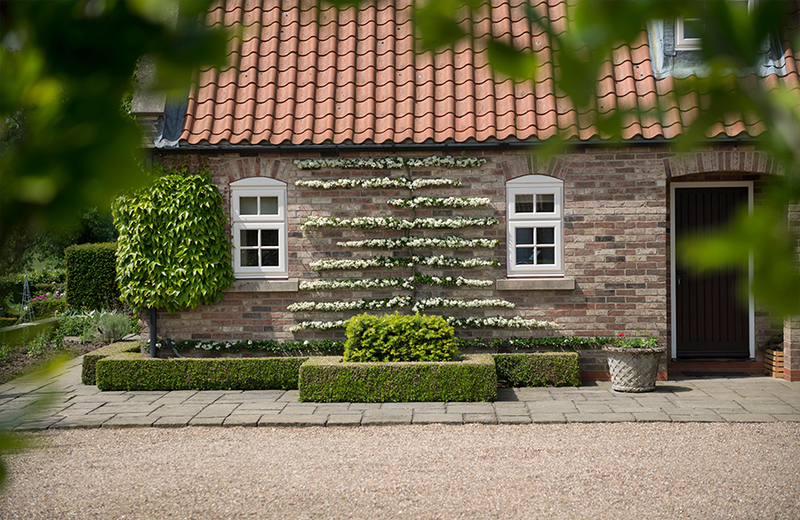 Our uPVC windows are carefully selected from our industry-leading supplier, Deceuninck. As a result, you get assured quality. These windows are extremely hard-wearing and resilient, giving you many years of unflagging performance. Their strength means they are difficult to damage or deface. With their non-porous surface and scratch-resistant treatment, they give you strikingly good looks with minimal maintenance. In fact, if they get any stains on their surface, you can easily wipe them off with a damp cloth. Additionally, you may sometimes need to clean any dirt and debris out of their opening mechanisms. However, that is the extent of work you’ll need to do to keep these uPVC windows from getting stained, dirty, or operating improperly. 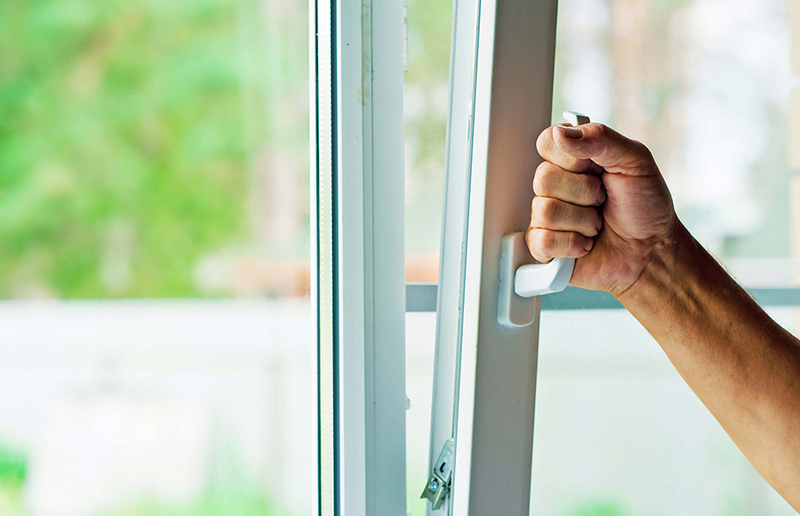 All our uPVC windows feature high-security measures to keep your Brighton home safe. First, the resilience of uPVC makes it impossible for potential intruders to force their way in. These windows have profiles that are so difficult to damage that breaking them to enter your home is not possible. Moreover, we fit them with comprehensive security fittings. These include state-of-the-art locking systems. Additionally, we also offer hinge protectors and internal glazing systems. You can also choose from various glazing options to get a stronger window. 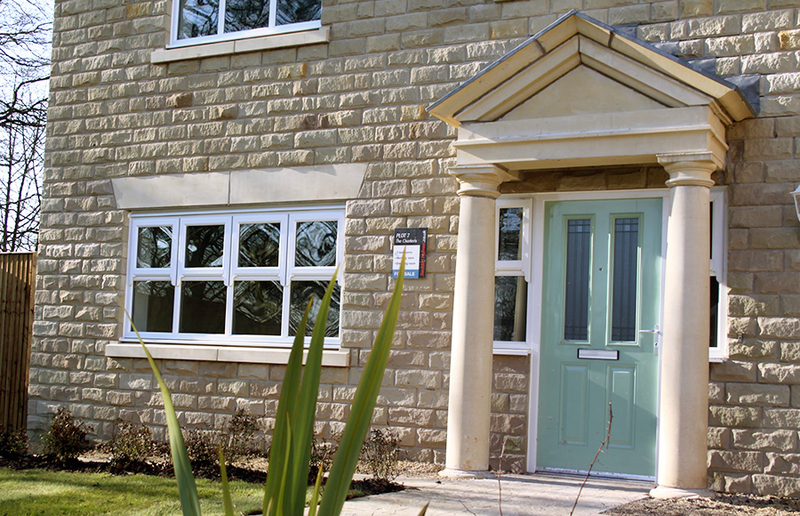 As a result, you can get uPVC windows that can potentially achieve a Secured by Design rating. Most homes find it hard to stay warm because they lose an incredible amount of heat through their doors and windows. With our double glazed uPVC windows, you will have no such problems. Our windows are made with a strategically broken-up profile that retain heat better. The chambers thus created act as traps for warm air, and prevent convection currents from forming. As a result, your windows are better insulated and more efficient at keeping the heat inside. Their insulating property is further enhanced by our high-quality double glazing. Our double glazing is capable of achieving a high Windows Energy Rating. This way, your home stays warmer with less usage of heating. In this manner, you save not only money on heating bills but also reduce your carbon footprint. Every homeowner in Brighton wants their home to reflect their style and personality. This is why we don’t offer the same window to everyone. In fact, we have a comprehensive selection of window designs so there is something for everyone. We offer a stunning collection of window styles, so every home can get a suitable window. However, we also offer these windows in a choice of colours. You can find all the standard colours in our palette as well as some unconventional ones. Moreover, you can also choose the finish of your windows. We offer a number of finishes, including some very realistic woodgrain foils. As a result, you can create uPVC windows that look deceptively like wooden windows. Finally, you can also choose the type of glass and glazing. In this manner, you can tailor the look as well as the performance of your windows. Our competitive uPVC window prices in Brighton are tailored to cater to a vast range of budgets and needs. As a result, you are sure to find windows that suit your aesthetics as well as your wallet. To learn more about our competitive uPVC window prices, visit our online quoting engine for your instant, online double glazed window quote. Alternatively, give us a call and speak to us on 01273 676750. Speak to someone from our team and we’ll gladly give you all the help and advice you need to choose the right windows for your home. You can also get in touch with us online. Simply message us with your queries and we shall get back to you as soon as we can.